This article is about the guest star. For the character, see Julian Assange (character). 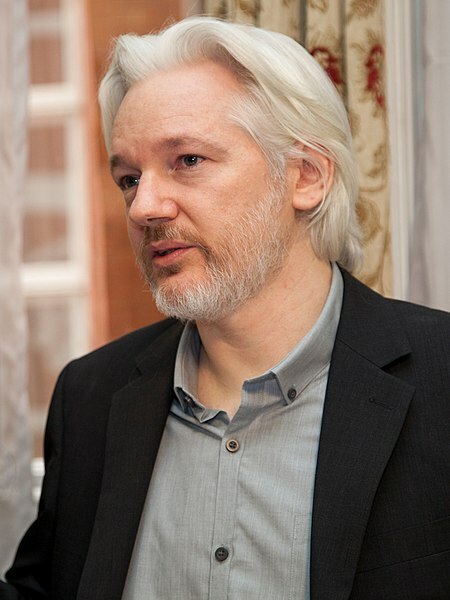 Julian Paul Assange (born July 3, 1971) is an Australian computer programmer, journalist, political activist, publisher, and writer, best known for being the editor-in-chief and spokesperson for WikiLeaks, a media website which publishes information from whistleblowers. He voiced himself in the season 23 episode "At Long Last Leave". He was approached after Matt Groening heard a rumor that Julian Assange wanted to guest star on The Simpsons. Matt Groening asked casting director Bonita Pietila to get into contact with him, which she did. He recorded his lines over the phone while under house arrest in the UK.